Today’s target market strategy looks a lot different from a decade or so ago. It’s not about bombarding them with a sales pitch – today’s savvy consumers have largely learned to tune out radio, direct mail, telemarketing and other forms of “outbound,” or interruption, marketing. And as for unsolicited email blasts, they’re a sure way to get your company on the “spam” list. So how do you talk to today’s prospective B2B client or B2C shopper? By speaking the language they understand and respond to – through content that positions you as a trusted advisor, industry expert or thought leader. The foundation of inbound marketing, content that works for you is always insightful, helpful or engaging -- not a sales pitch. 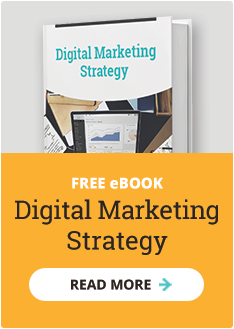 Your blog, infographic, whitepaper or video incorporates a call-to-action that encourages visitors to visit your website’s landing page, where they may leave contact information you can use to qualify them as leads. But finding the people to view your content – that’s where personas come in. Just as you wouldn’t send a sales rep into the field saying, “just call everyone in town,” you would not create online content or messages that speak to an unfocused or generic audience. Customer personas are fictional characters drawn from real-life examples of your target audience. 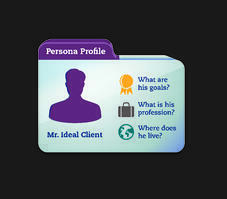 They differ from simple demographics in that personas take a more in-depth view of the target. A 35-year-old man who has his MBA, holds a director’s position, is married with children, plays golf, hates Facebook and is socially networked only through LinkedIn. Though these two men couldn’t be more different, each could be a viable target for your product or service. However, their distinct lifestyle differences suggest that the way you approach them – the content your create, the media you use, the wording and images, the calls-to-action and even the landing-page offer you make – must speak in the language that each man finds most appealing and beneficial. These pinpointed traits is how a persona helps you truly understand your customer. Finding those traits is a task that requires effort. Categorize and summarize your findings to identify the archetypical target. Then share that information with your entire organization. Give your personas names, a photo avatar, birthdays, and other personal traits that help your team visualize the kind of person who best fits your target market strategy. With that information in hand, you will find that the content you create, and the media you use, will become more specific, more targeted – which can lead to better response and more traffic to your landing page.